Making it* happen: From Strategy to Action. *inclusive teaching, (in collaboration with Inclusion in HE) University of Leicester, November 14th 2018. Diversity & Inclusion 101 / Mental Health Matters: CPD sessions for Independent HE, London, November 9th 2018. Singapore Management University: Office of Dean of Students. Consultancy, Training and Keynote Speech for Singapore HE Disability Service Professionals. 10th – 15th September 2018. University of Glasgow comprehensive review of current mental health provision to minimise the impact of mental ill health on staff and students subsequently used to inform whole University Mental Health Action Plan. June 2017 see short film on how here. 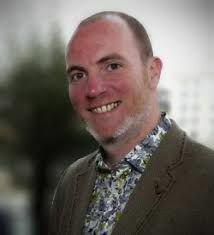 Pete Quinn is an Independent Consultant who specialises in identifying ways in which organisations can be more inclusive in their policy and practice, catering to a more diverse range of people, primarily across the education sector. As an Independent Consultant, he applies his skills, knowledge and expertise in equality, diversity and inclusion. Pete specialises in the delivery of inclusive teaching learning audits, disability confidence reviews, training and consultancy and is currently working with several Universities across the UK and Asia Pacific.